We're wrapping up work on November's upcoming patch, and have some more information about bug troubleshooting. It's Faeria Friday, and you're knee-deep in it. As mentioned last week, this month's patch will contain a brand new game mode added the base game of Faeria. We've been enjoying listening to the speculation of what it exactly what it might be, and some of you have come pretty close to the 'general idea' of it. That said, we're not quite ready to share it just yet. Here's a hint: Sharra will probably be very good at it. We've mentioned this before, but it bears repeating. What does a corrupted app cache mean? Well, basically it means there are files related to Faeria on your computer that, for whatever reason, may need to be purged for the greater good. Don't worry, deleting these files won't harm your installation at all. In case you missed it, we recently added a button to the Settings menu in-game that does exactly this, titled "Clear Cache." 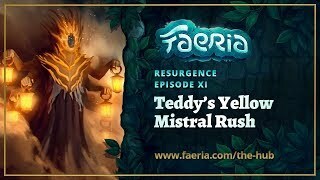 You should restart Faeria after clicking this to try and resolve your problem. 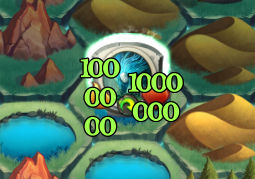 However, what do you do if you can't even log in to Faeria in the first place to hit that button? 1) Exit out of Faeria. 3) Delete everything in that folder. It all must burn. This process should fix a wide variety of strange crashes some players are experiencing. Of course, we'll work to make it so these things happen less in general - but this fix should cover a broad range of problems. Look, this is pushing the scope of design just a bit. Don't blame us. As a reminder, timezones have recently shifted from CEST to CET, so make sure you're comparing yourself to CET!